The site for this project is the northeast quadrant of the main intersection in a fastgrowing business park. 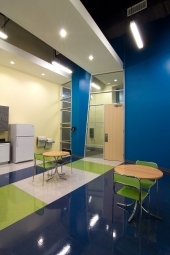 The desire to capitalize on the potential of the corner for identity led to the obvious organizational strategy of placing the major program elements of entry lobby, main conference center and break rooms and the office call center along the main street frontages. While this solved the program, it forced these people-intense areas to face due south and west into the Texas sun. We employed a formal strategy of each program element expressed as a volume, overlapped by planes. This allowed for the development of depth on these high-sun exposure surfaces by subtraction (volumes) and addition (planes). 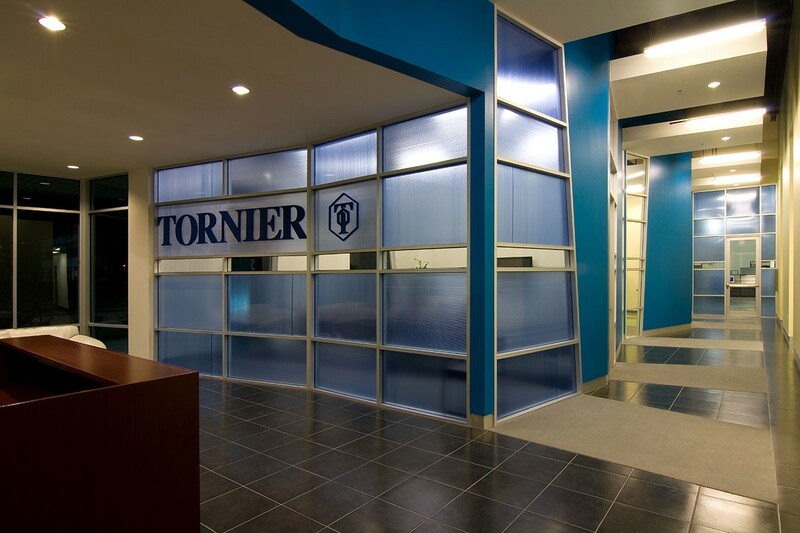 This was the basis for the building’s character, which was then activated with a “kinetic” series of bands in the public area inspired by the product this French company produces- mainly prosthetic limb and joint replacements. Light and translucency were the underlying forces driving the materiality and formation of the space. 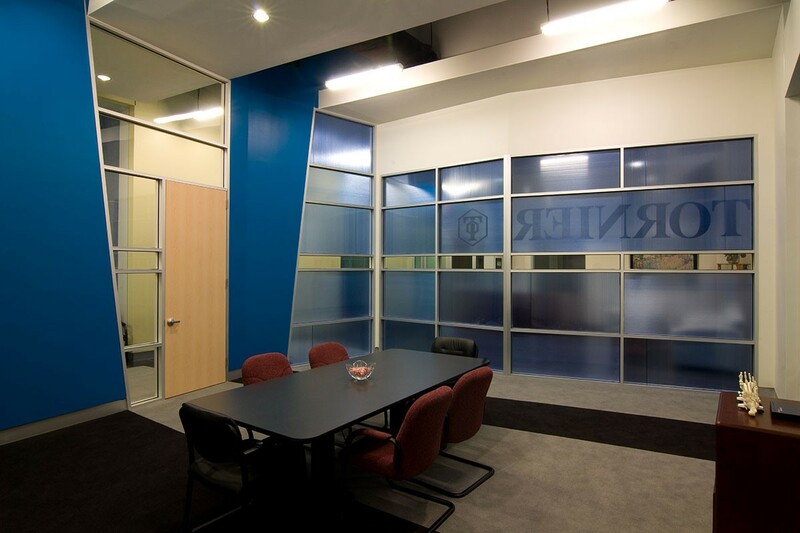 Blue translucent resin panels were used instead of clear glass in the conference room to provide light transmittance into the main corridor and semi-privacy for the conference room users. Bold colors and patterns energize the company breakroom, which has direct access to an exterior porch.